• Perform back to back tests on the same day - This tends to allow the users to compare manufacturers more easily. 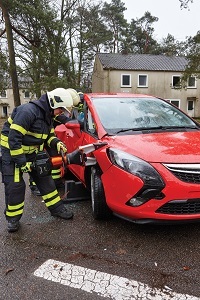 • Ask a specialist - Consider using a specialist rescue / extrication team to perform the assessment. • Try and obtain actual and relevant testing material / late model vehicles - This will truly reflect the performance of the tools. This will allow you to really assess cutting performance and spreading performance. • Practical use - Assess whether the tool performs the desired application, rather than just having the most impressive specification on paper.